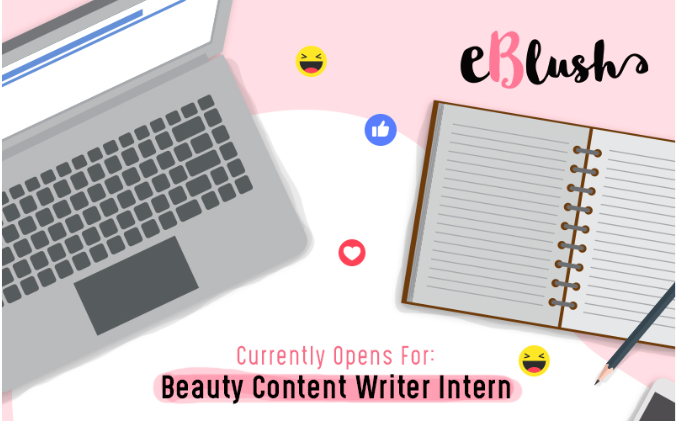 Gabung yuk dengan majalah online khusus KECANTIKAN, eBLUSH (http://eblush.co.id) sebagai Beauty Content Writer Intern 💱! Description eBLUSH (http://eblush.co.id) is one of the kind online beauty magazine. Makeup, skincare, nails, hair, fragrance-you name it, we will provide you all the guide. latest update. tips and tricks, and review about beauty around the world!